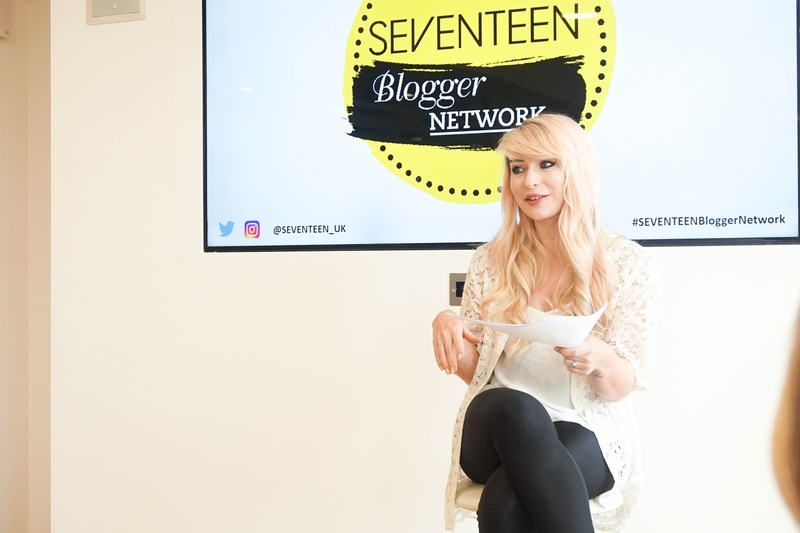 As I mentioned last week I recently attended a few beauty events with one of them being the Seventeen Blogger Network event. I have tried the brand in the past & I've been part of their blogger network for quite some time now. Anyone can join the network and it's a fantastic platform for bloggers to not only stay connect with the brand & their new releases, but also a great way to connect with other bloggers, as well as being able to see what they are recommending etc. 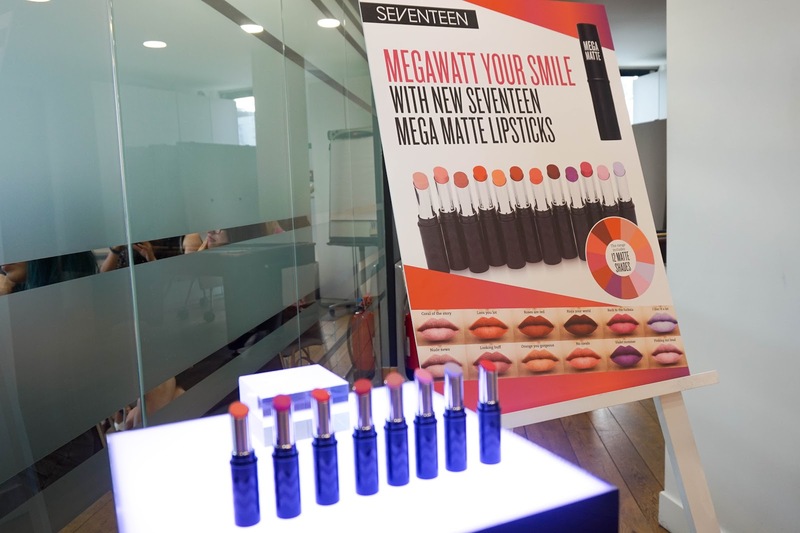 I loved being able to visit Seventeen UK offices in central London, such a beautiful place (definitely a bloggers dream) and it was perfectly set up for an evening of fun & beauty. Apart from checking out all the various Seventeen UK products which we found beautifully displayed around the room, we were also able to take part in three chats?! 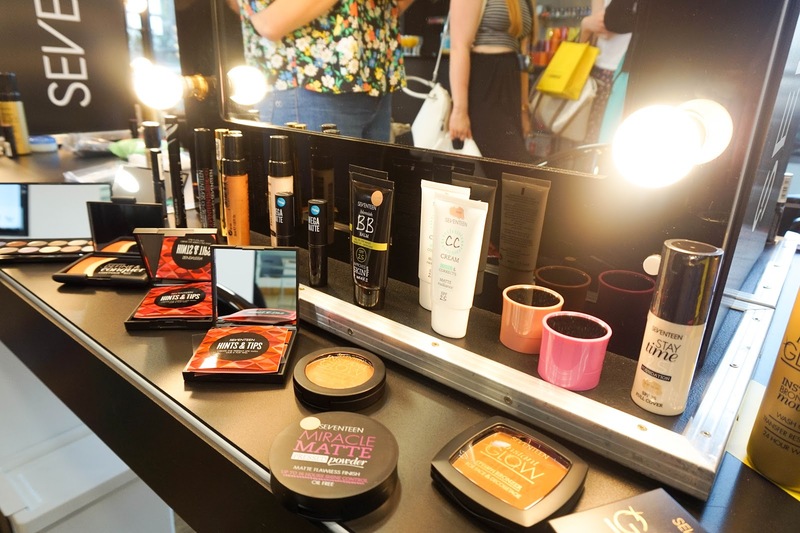 All very informative for beauty bloggers. Firstly we chatted to Katie Snooks as she told us all about her blogging journey to how she has now made it into her career. Then we talked to Youtube/Google expert about his tips for building a great YouTube channel, which was actually really interesting. Lastly we had live makeup demonstrations with celebrity makeup artist Vanesa Guallar, focusing this year’s hottest makeup trends. I particularly fell in love with the dark lip trend for upcoming AW season. 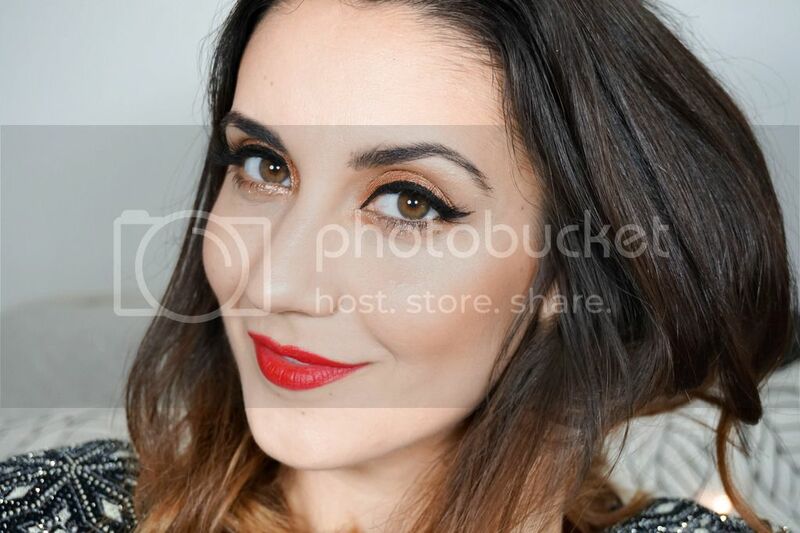 For this look she used the brand new Mega Matte Lipstick range, which retail at £4.49 and you can find in 12 beautiful shades for stunning statement lips. I definitely recommend you check these out next time you find yourself in Boots because they are amazing especially considering the budget prices. 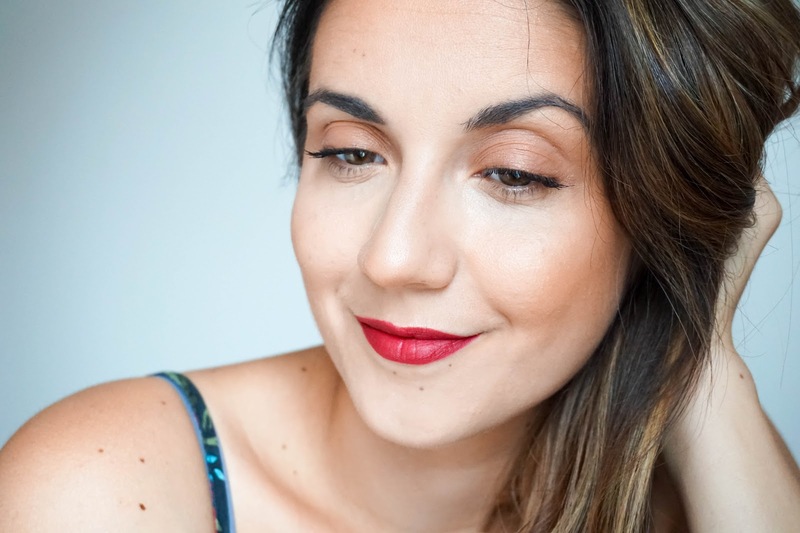 For today's post I've created my own version of the simple makeup look focusing on dark autumn lips with radiant skin. 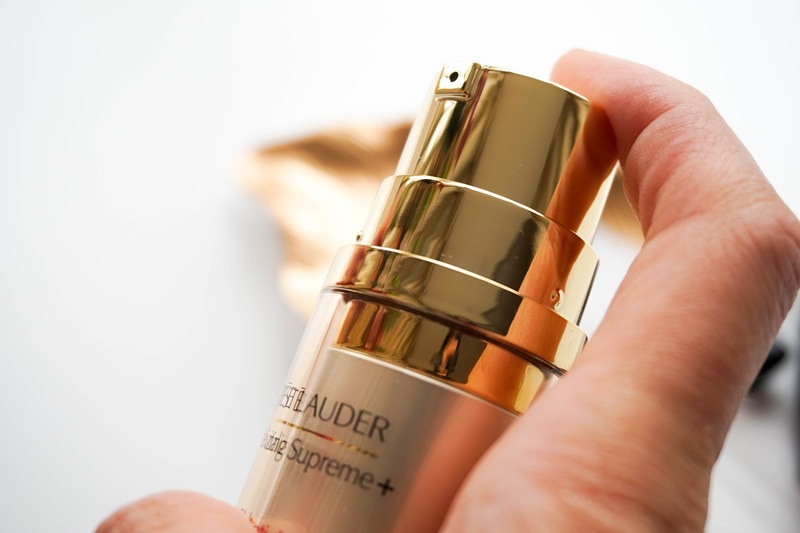 The most important step to your skin looking radiant and healthy starts off with your skincare. 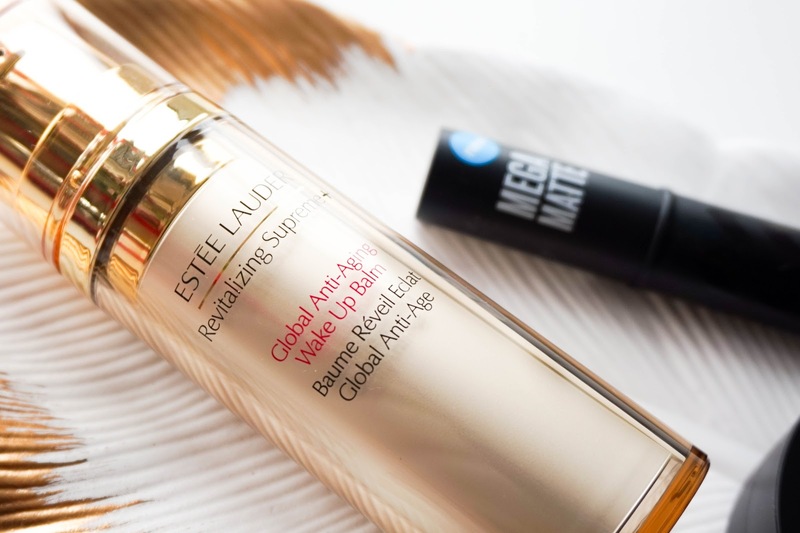 This week I was sent out the luxurious Estée Lauder Revitalizing Supreme + Global Anti-Aging Wake Up Balm* from House of Fraser and even though it's early days so far I have been loving it. First of all I love the packaging and the fact that it comes with a pump, much more hygienic and simple to use. Second of all I love the radiant finish it leaves to my skin without actually using a highlighter, it's just that healthy glow from within that everyone craves. It also leaves my skin feeling firm, plumped and hydrated all day so I am extremely happy. At the moment House of Fraser have a fantastic offer where you receive £10 off when you spend £50 so it's the perfect excuse to treat yourself to some luxurious skincare or beauty treats... but be quick as the offer ends this Sunday. 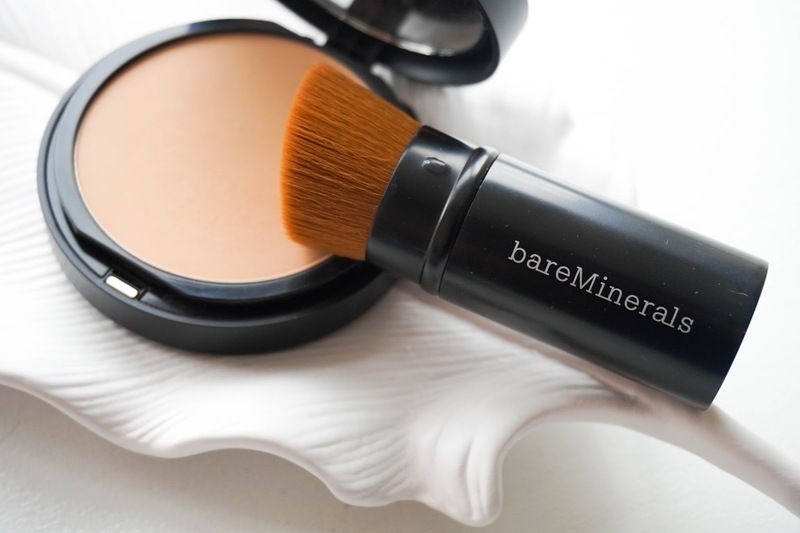 I then used a light layer of my current favourite base, the BareMinerals BAREPRO Powder Foundation, along with concealer to even out my skin tone and create a flawless finish. Then I bronzed my skin for that sun kissed look using the natural Dusty Girls Bronzing Powder, perfect for warm bronzed skin. I skipped on blush and opted for a touch of highlight along the cheekbones using an old favourite MAC Soft & Gentle, which has been completely ignored in the past couple of months. To keep things simple I used the same bronzer & highlight duo to add a touch of colour to my eyes. I then applied a few coats of mascaras for a natural lashes and my go to Benefit Gimme Brow for softly defined brows. 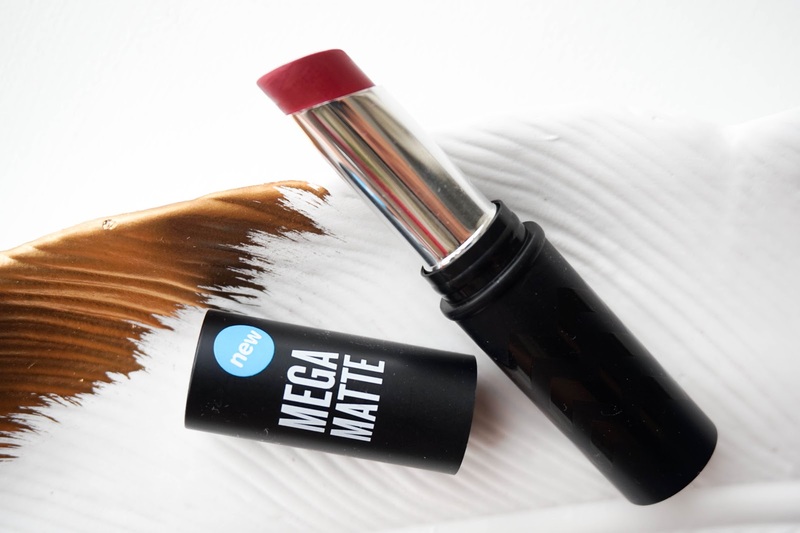 Lastly the focus was on the star of the show, the Seventeen Mega Matte Lipstick in shade Rioja Your World* which is the perfect dark red lippie for autumn. The lipstick has a semi-matte finish but as you can probably see from the photos it is not drying at all. It does transfer however and will wear off with time/through eating, but considering how comfortable it feels on the lips I don't mind too much. I also wanted to quickly mention that I'm currently doing a Twitter giveaway (sadly it's UK & Europe only) with some of the Seventeen beauty goodies I picked up at the event, so don't forget to head over to enter. So that's my quick makeup tutorial, super simple and perfect for the AW16. It doesn't take much effort to create but you will sure make an impression with the statement lips. I'm really enjoying using these new beauty products in my daily routine and they are definitely ones worth checking out. 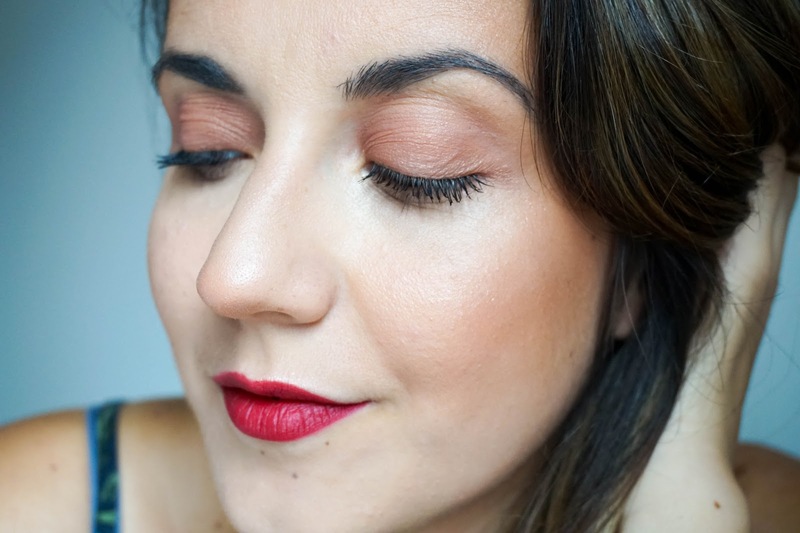 What's your go to autumn makeup look? 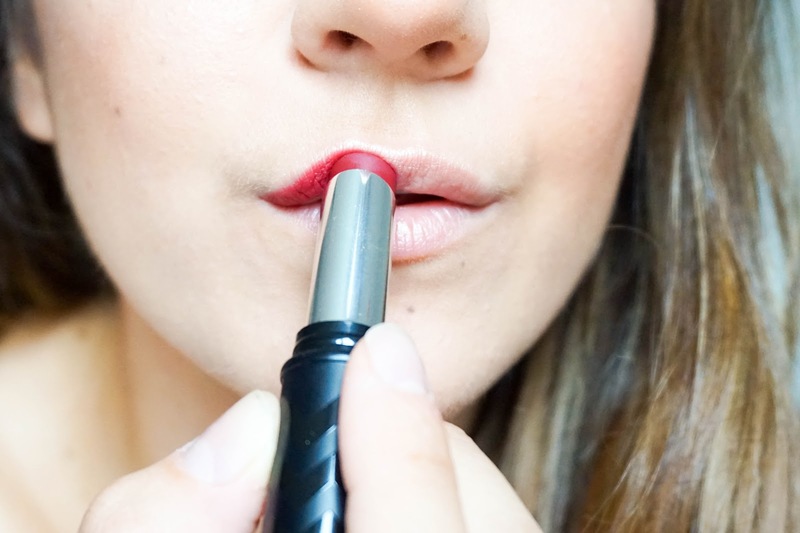 Do you love wearing a bold lip?